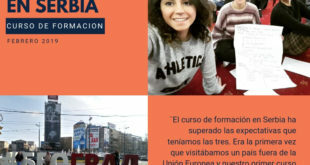 Os presentamos la experiencia de los jóvenes que han participado en un CURSO DE FORMACION del programa Erasmus+ en POLONIA. 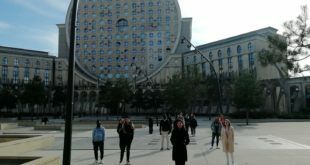 Las personas que hemos conocido durante esta aventura han sido increíbles, tanto profesorado como el resto de participantes, hemos hecho un gran grupo y nos hemos entendido a la perfección. 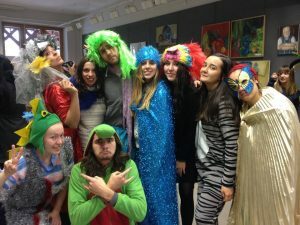 Lo que diferencia trabajar con Beata al resto de intercambios o experiencias Erasmus es el margen a la improvisación que dejaba, por mucha agenda diaria con la que contábamos, al final nunca sabíamos que es lo que nos esperaba al cabo del día: aprender a sobrevivir, hacer un videoclip… No había tiempo para aburrirse, cada día había algo nuevo. Además, siempre empezábamos el día con energía gracias al yoga matinal (y al pedazo desayuno que nos servían). Como conclusión, podemos decir que ha sido una experiencia muy positiva (Nuria ha descubierto su pasión por el cine y los terremotos). Hemos vuelto con grandes amigos, buenas historias y unos cuantos kilos de más. 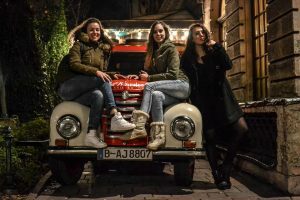 Pablo Alonso, Nuria García y María Zamudio. Proyecto Storytelling. Poronin, 2016. 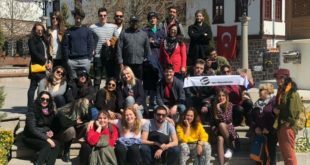 30 participants from 9 different countries- Poland, Czech Republic, Lithuania, Romania, Turkey, Italy, Spain and Portugal – participated in Erasmus+ training – Media Story Telling. In just 6 days they learned how to create successful stories as samples of future work with youths. Stories were based on personal events which helped to make them real and believable. We used variouse techniques- from theatrical, psychological and multimedia fields of knowledge, to help master the stories. We worked on the ideas, and content as well as technical aspects. 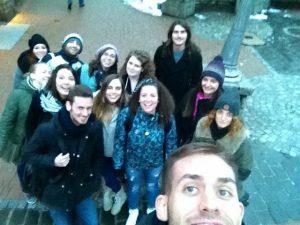 We created unique opportunities, like a bonefire in the snow, a full moon pagan ceremony, a grill in the highlanders hut, a flash mob in the art school and on the streets of Zakopane, as well as others, to explore ideas for storytelling techniques. All our workshops/activities were designed not only to teach new techniques and explore new ideas, but mainly to show how we can create an entrepreneurial spirit among the youth. As in the song, we encourage young people to be independent, think outside the box, and look for their own ways of expressing themselves – artistically and professionaly. All activities help to create self-confidence and creative thinking, with a specific focus on environmental issues. That was the topic for our flash mob, and the interview we did with the local press-the danger of low emissions related to bad recycling policies and a lack of concern for others- localy and globally. Our cultural evenings helped everyone to discover new things about each country and raise questions- what does it mean to be European? Our training about Erasmus+ included an original game “Who wants to be a Millioner?- in Erasmus+”, which helped to promote the overall program ideas in a unique and competative manner.. Overall- it was a very intense and fruitfull process. At the end everybody got back as much as they put in…All our goals were fulfilled and the participants were satisfied, in spite of some changes we had to make, which were related to unexpected extreme weather conditions… but we still managed to have some yoga.! Please like/share our pages- music-videos.